Begun in Europe, Surrealism soon crossed the Atlantic and took on a new life in Latin America. Diego is sturdy, solid, unmoving. 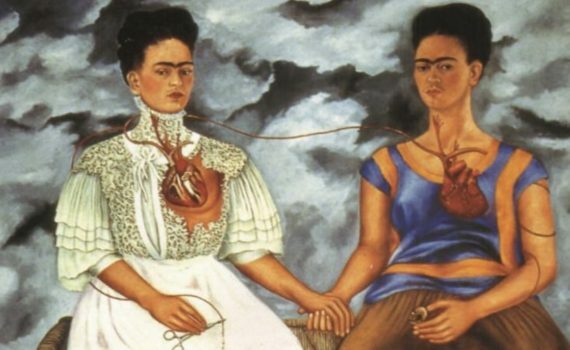 Frida looks out, quizzically, and with her hand on his, seems to be breaking free.